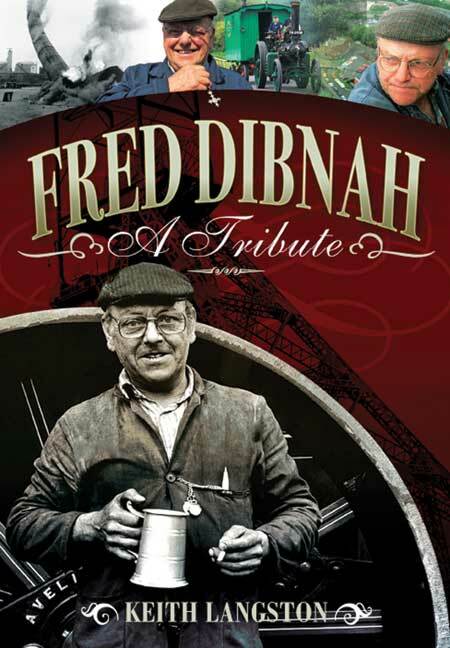 You'll be £25.00 closer to your next £10.00 credit when you purchase Fred Dibnah. What's this? Mid-Cheshire based heritage transportation specialist photographer and feature writer Keith Langston travelled extensively with Fred Dibnah during the filming of his last TV series, 'Made in Britain.' Following Fred's untimely death, Keith embarked upon the creation of a book, drawing not only on his experiences with the Bolton born steeplejack and TV presenter, but in addition talking to a representative cross section of those persons who numbered themselves amongst Fred's many friends. Fred became a high profile media personality and the fame which accompanied that status never affected him, or in any way changed his down to earth demeanour. He will be remembered not only for his many practical achievements, but also for encouraging thousands of others to care about our industrial heritage. The steam bug infected Fred at a very early age possibly following his illicit visits to his father's place of work, a bleach factory. Encouraged by one of his ex teachers Fred started what he described as 'a steeplejack business'. When he turned to presenting his own programmes his blunt, no nonsense style made a welcome change from the so called television professionals. His genius lay in being able to communicate with the audience in simple, direct, colloquial English.